Resourcefulness launched Oprah Winfrey to be, as Life Magazine refers to her, ‘America’s Most Powerful Woman’. 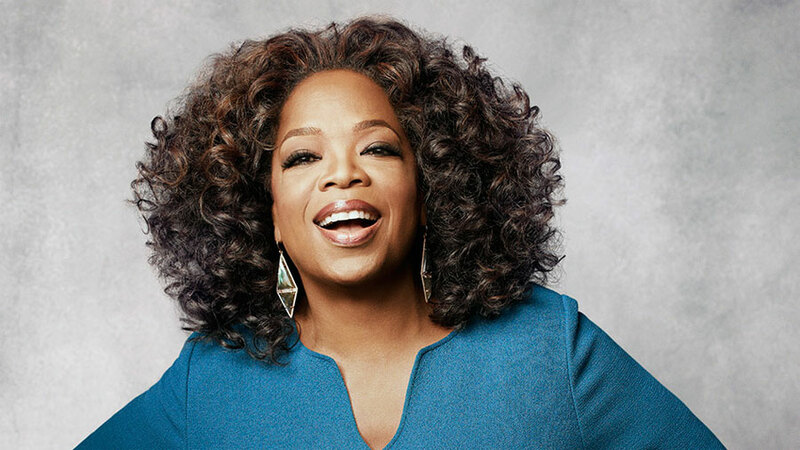 Hailed for her accomplishments in media communication, Oprah (born Orpah Winfrey) had to overcome some pretty tough stuff to find the success she has achieved. Her perseverance truly does embody the idea that even when things are hard, if you choose gratitude for the good in your life and focus on what you can control, you are capable of overcoming anything. Oprah was born January 29, 1954 in Kosciusko Mississippi to Vernita Lee, a single teenage mother. Living in poverty, Oprah at times wore dresses made of potato sacks and was mocked by fellow students for her destitution. She moved around frequently, at times living with her maternal grandmother and being sent to live with Vernon Winfrey, her father. Struggling with more than poverty, Oprah was molested at an early age by family, and by friends of the family.. At only fourteen, Oprah found herself pregnant. Unfortunately, she delivered prematurely and endured the loss of a child. Despite all of the heartache she experienced in her youth, Winfrey was able to overcome and find success. Oprah accredits her grandmother for instilling in her the self-worth and motivation needed to overcome her circumstances. In her school days Oprah was voted most popular, was an honors student, and won an oratory contest that secured for her a full scholarship to Tennessee State University. Her first job in public communication was with a local African American radio station where she broadcasted the news part-time. She moved through a number of different small media positions before relocating to Chicago. In Chicago she worked on a morning talk show, catapulting the station from last in rankings, to first. This talk show would evolve, and in 1986 it became the Oprah Winfrey Show. Since then Oprah has proven herself one of the most successful show hosts, an accomplished writer and magazine producer, pioneer of a television station focusing on programs for women, and a talented actress. Among her greatest accomplishments has been destigmatizing what was previously taboo. Emotional, intimate, confessional interviews have opened the doors for Americans to discuss topics previously swept under the table. Her success knows no limits as her influence has breached a multitude of arenas. Rumor has it, the next stop for Oprah may be the presidential office. Her genuine heart for people is sure to attract a following if she does choose to throw her hat into the ring. Focusing on self-improvement and philanthropy, Oprah is a reminder that it is possible to overcome any circumstance to achieve the impossible. Like Bella Women’s Center, Oprah believes that a determined woman can accomplish anything! Winfrey’s efforts to empower women, and to give them a voice of their own, are evident throughout all of her work. Her message is clear – no matter the situation, it is up to you to write your own story.